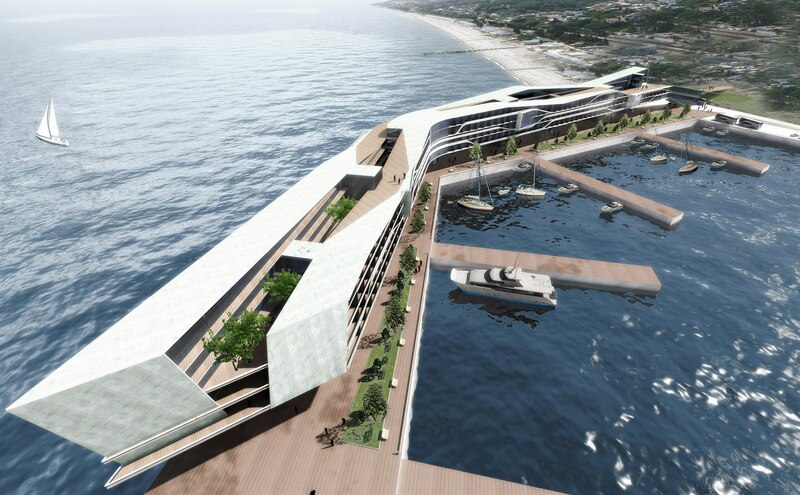 Studio of A.Asadov have recently designed for Sochi one of their most daring and even most fantastic projects – hotels-islands raised upon supports above the water surface. 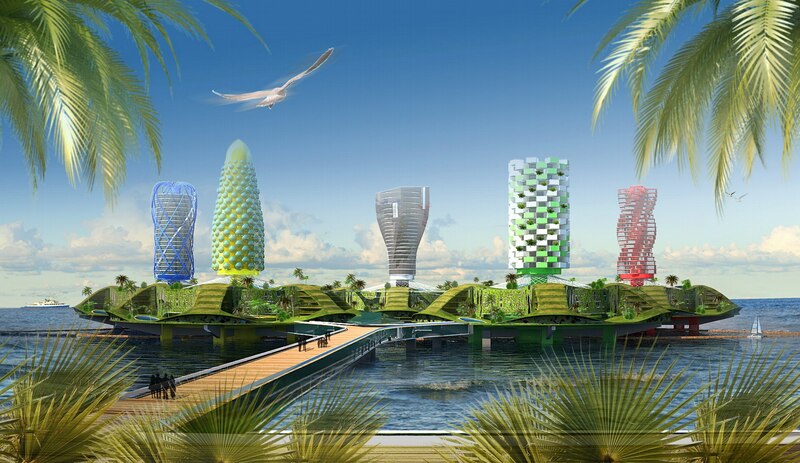 These complexes are able to compete with the project of “Federation Islands”, plus solve a number of issues of the resort and future Olympic Games city. 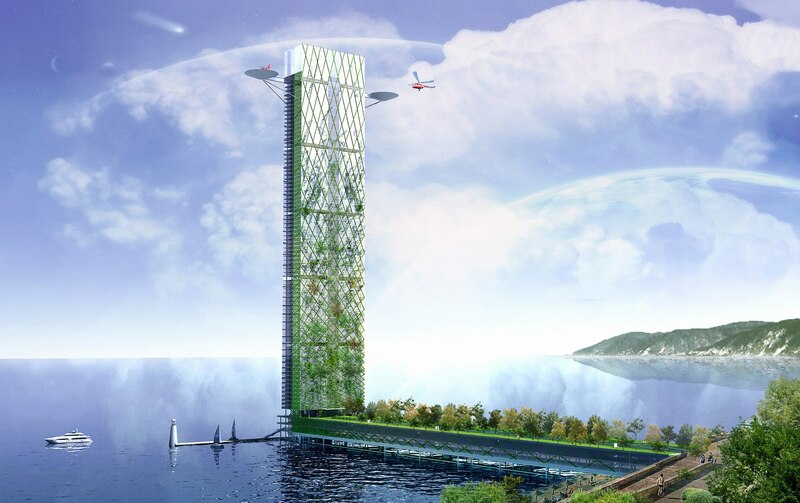 But the question is – will they dare to build them? Humanity have always severely struggled with the sea for centimeters of a dry land. The gained lands used to be cultivated, today they service to prosperous tourist resorts. The brightest historical example of the fight is draining of Holland shores, greatness of which is expressed in the saying: “God made the sea, but the Dutch have made the shore”. In our times the other “sea power”, Arab Emirates, have an alternative to drainage – man-made islands, much talked-of project ”the world". 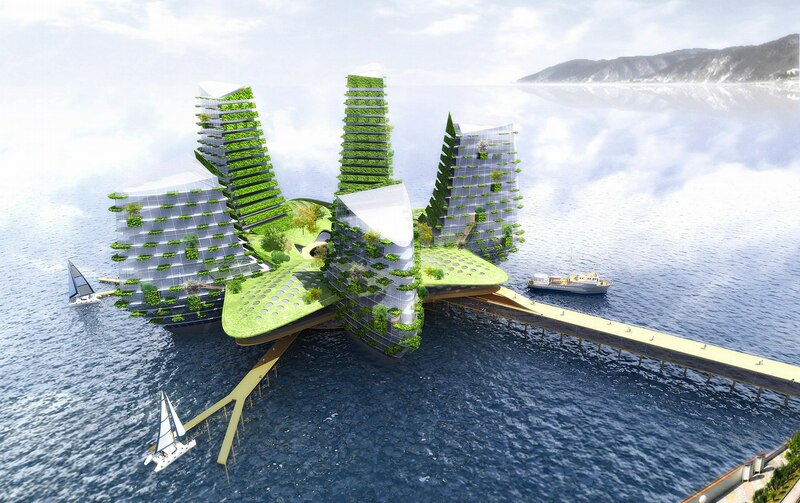 The trend have come to Russia – for the Olympic Games in Sochi Erick van Egeraat, the Dutch architect, has suggested making an artificial island (or rather, an archipelago) ”Federation”, with the shape of our country’s outline. 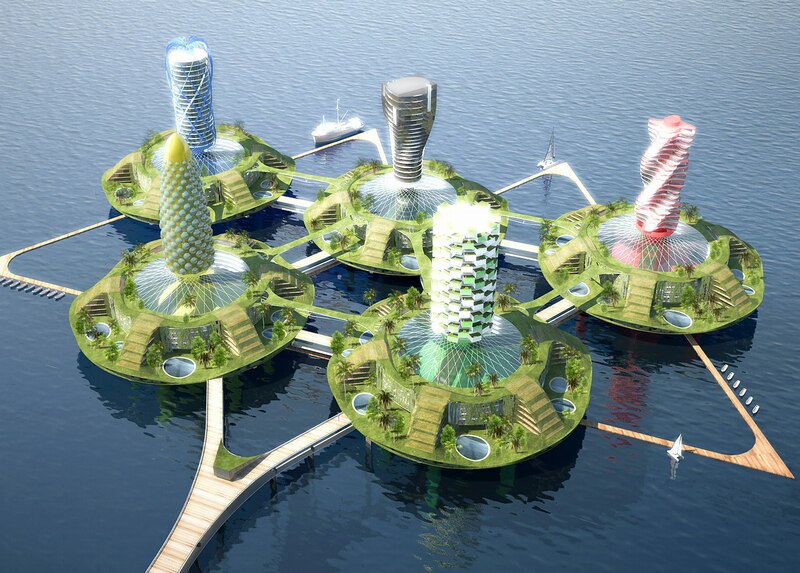 They say, it will not be build, because developers have not considered one critical feature of the Black sea - its depth – solution of the problem would most probably take the entire project’s budget. 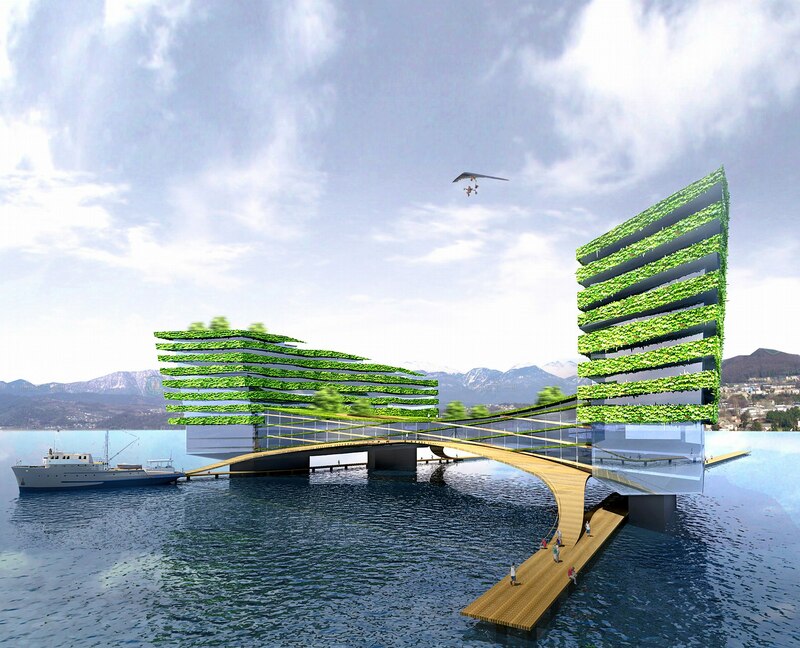 Today, drainage and artificial islands are the main ways to regain more territory from the sea. There is another one, worth following the line and become the third – constructions on pile structure. This is not an innovation: such houses had ancient tribes living in the central part of the country, those living on marshy lands. Besides, houses on supports are the only possible way to stay ashore without fearing for high water or storms. We have already highlighted one of such “houses on supports” – the project “Aerohotel” by A.A.Asadov studio, a station for traveling hotel-dirigibles. 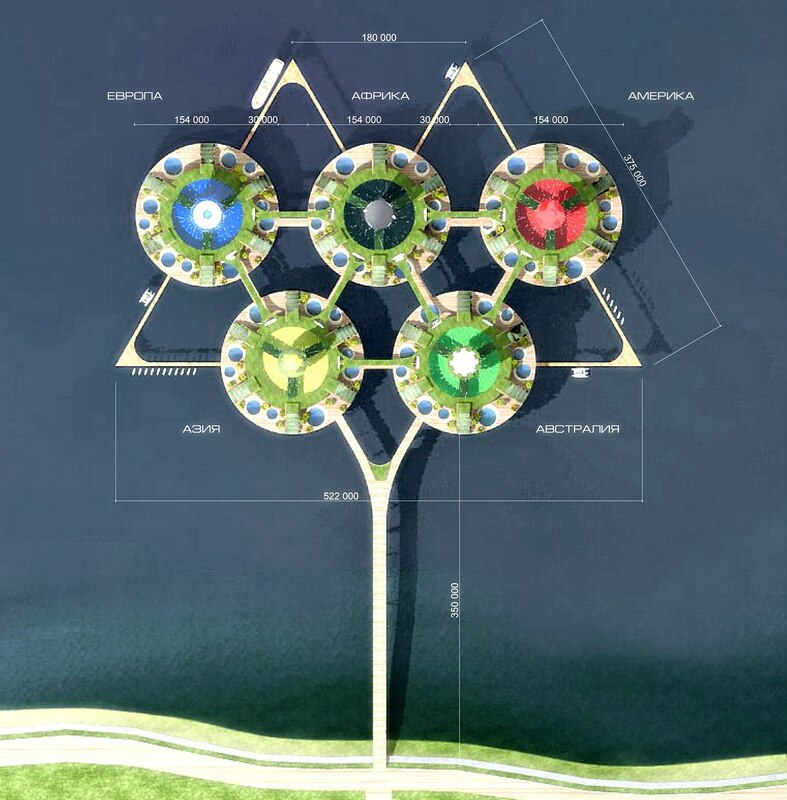 The key idea of the project - buildings on supports, became the start point for new works of the architects, projects with a more specific aim – compete with “Federation” island which probably will not ever be built. 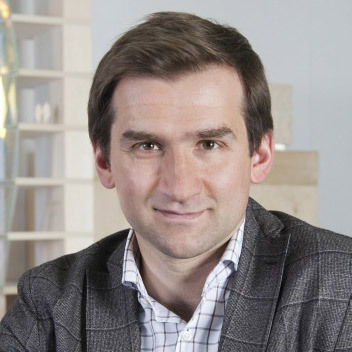 A.Asadov’s studio designed the four projects for Sochi, with different architectural approaches but the common idea. 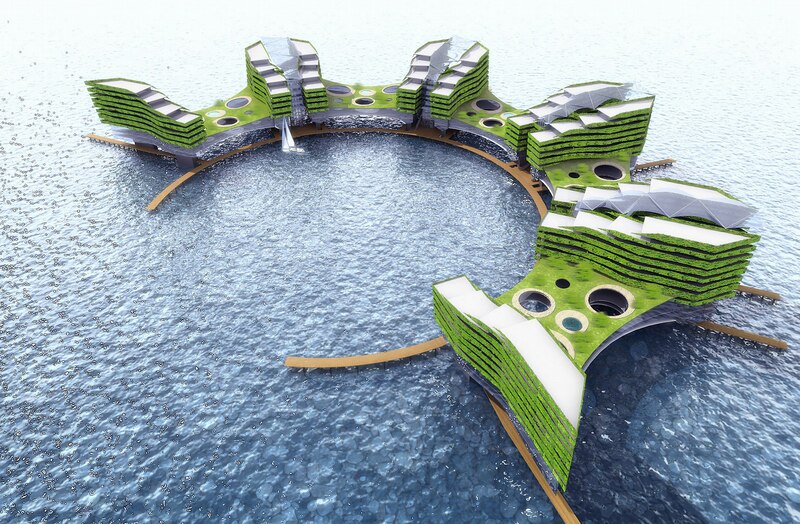 Each includes buildings (apartments, hotels, hanging gardens, yacht berth in the lower level) raised above the water on supports and connected with the shore by a pier. 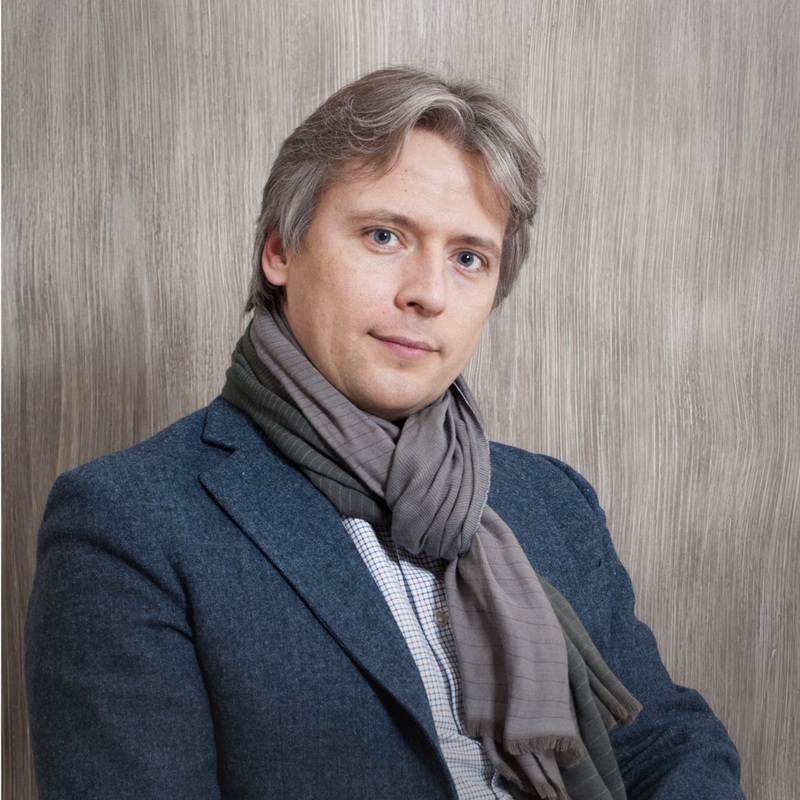 As to Andrey Asadov, one of the authors of the project, construction of supports is eleborated and reliable. 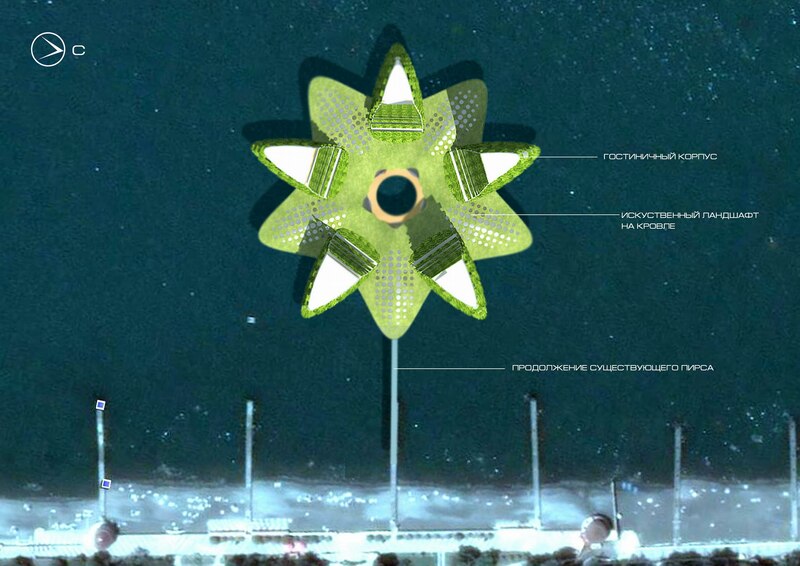 The first project shapes a thin semi-sphere pier, on the axis of which houses-butterflies are “thread". They have two slightly curved bodies like wings, growing in height in cascade manner towards the sea. 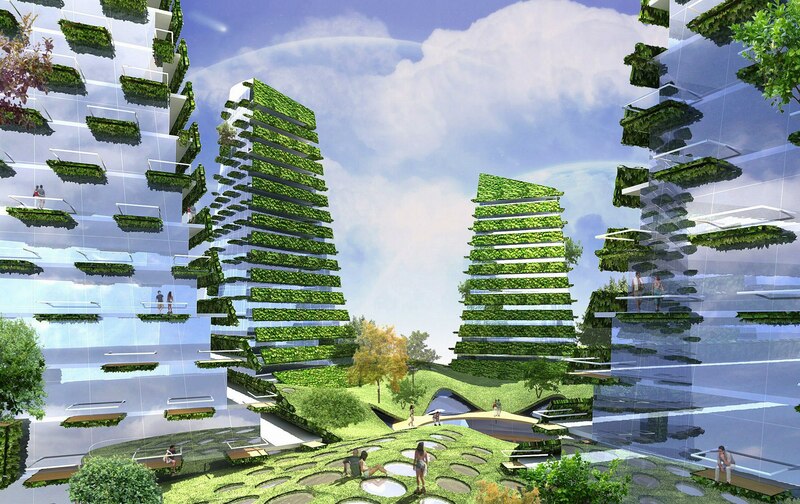 Buildings - “wings” are joined by the large glass atriums with hanging gardens inside and outside. Bright green grained texture of the constructions with park among make a scenery of an oasis in the sea desert, at a time beginning dialogue with green coast mountings. Some kind of green anti-island – first, an island must rise from the water, this one is hanging over it. Second, and island has a hill in the centre, this one has a hole, but rises towards the exterior perimeter. Light, even “flying” idea challenges the sea nature. Another form of the idea realization became the five round “islands” with towers in the middle of each one - from the view high over them (from an airplane) they make Olympic emblem. Circles symbolize the five rings-continents differently colored. The dark blue tower is Europe – cold of Scandinavian winter, tower in the centre reminds ice sculptures. Like an African sculpture is the tower of the black ring symbolizing Africa. Shape of the red tower uniting South and North America, resembles Brazilian carnivals, Aztec sacrifice, Indian Conquest. Tower of the yellow ring – symbol of the Asia - is like Chinese pagoda, its speckled pattern refers to modern art of the region. The last continent on the emblem, noted by green color, is Australia. 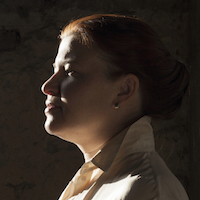 Cultural history of the place is not so significant. But the nature indeed makes a great impression. 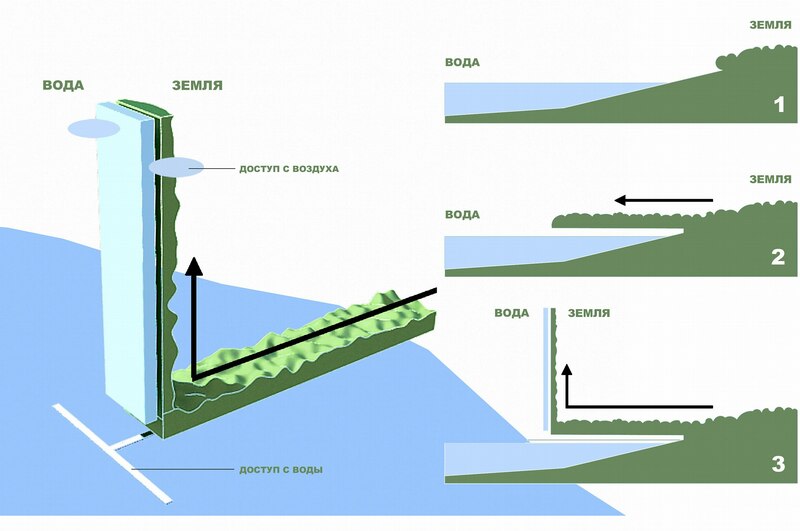 Probably, that was the main thing the architect considered in design of the tower of the green ring – its façade resembles relief of the Australian Alps, where at the height of 2000 meters grow rare spots of green. All the multicolored rings-plates of the five continents have common structure. 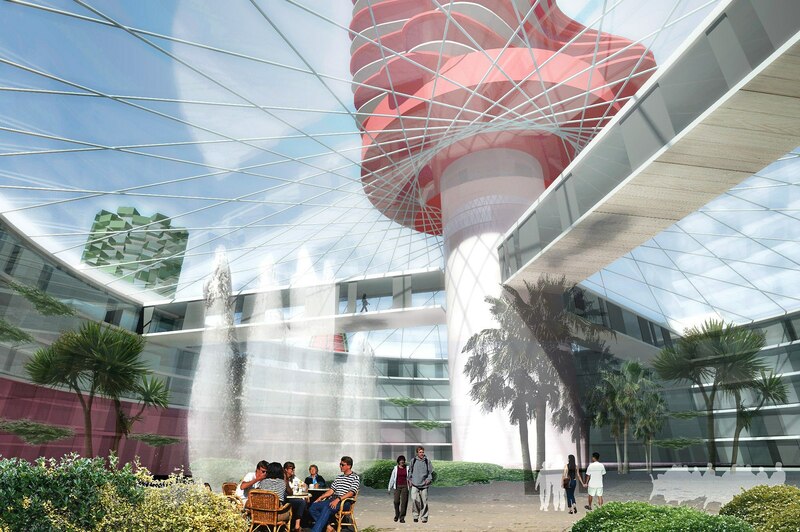 The round foundation raised above the water on piles creates an atrium with public transport, hotel buildings are sited in different directions from there, and a tower crowns the construction – symbol of the continent. 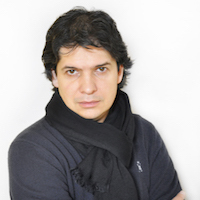 The peculiar thing is that symbolic takes us to the Olympic Games, and that is more logical than the loyal "Federation". 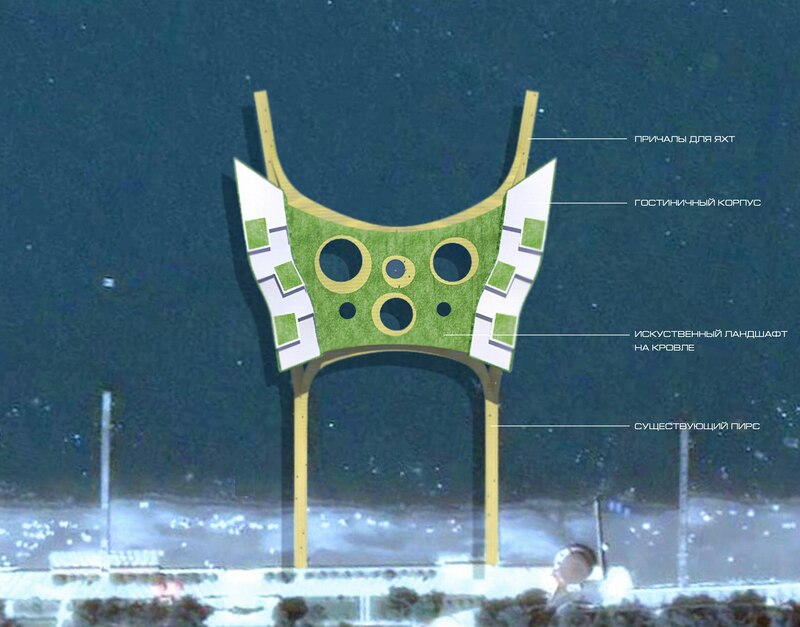 Such architectural complex would not only become a decoration and feature of Olympics in Sochi, but also one of the city’s symbols telling to the guests about the event of global significance. Another project of all shapes a long low-raised building rashly passing from the shore into the open sea. 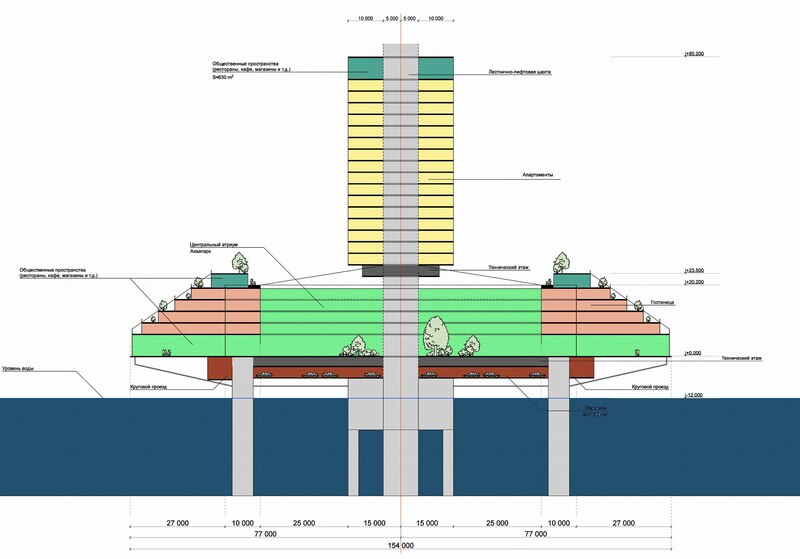 It is hardly an island on supports, but a pier, only very large and compound. Closer, its solid volume appears composite and multilayered, a curve in the end and massive yacht berth make an artificial bay, isolated territory with a large beach which could mark privately owned territories. 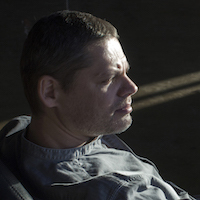 The forth project is centrally symmetric. Its draft name is “Zvezda“ [Star]. Complex includes a foundation in the shape of a five-point star and five buildings place among its rays. Buildings function as hotels and have planted facades, which make them more similar to a water lily than to a star; or even to Passiflora. And the long pier-footstalk connecting the complex with the shore intensifies this similarit. Another variant of the coastal building on supports - “South Forpost” project. 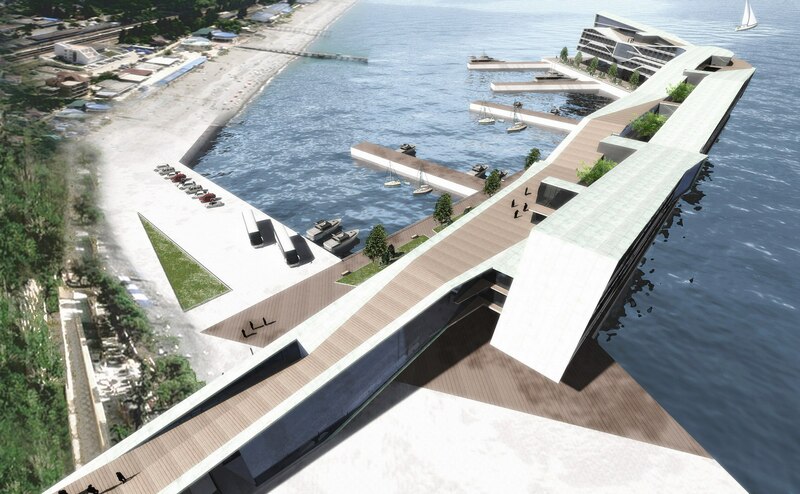 Wide pier becomes a large park which might carry on the tradition of Sochi arboretum and covering the public gallery and parking areas. 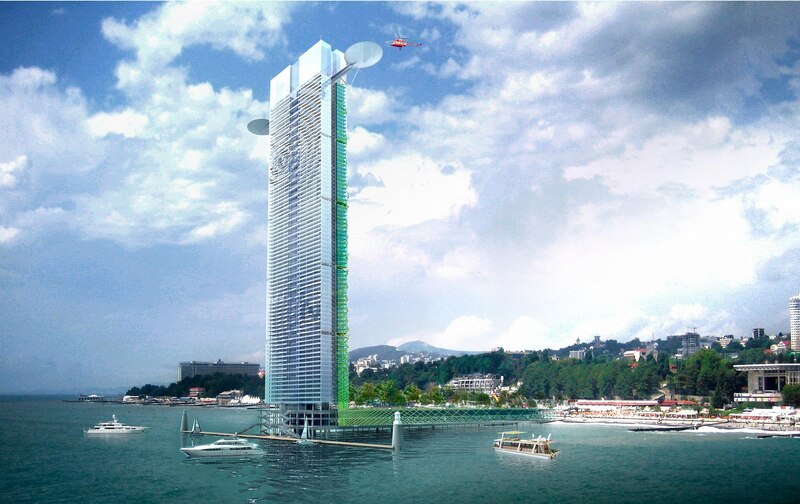 On the end of the pier-park there is a glass netted skyscraper with partly planted facades and the two helicopter landing decks above. Like the rest sea buildings the skyscraper must function as a hotel. Considering the record height very likely there can be placed view spots on different levels showing wonderful sights of the city. Skyscraper is symbolic: from the land side its facades are planted, from the sea side it is covered with cold glass ripples. This marks the two elements: land and sea. 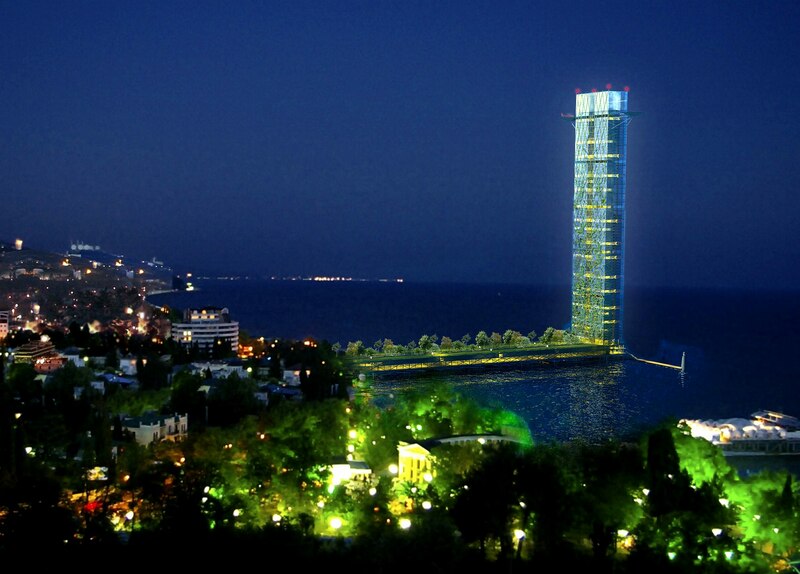 Besides, the tower, very high for Sochi, rises in the sea like a lighthouse, and again it might become a symbol of the city. 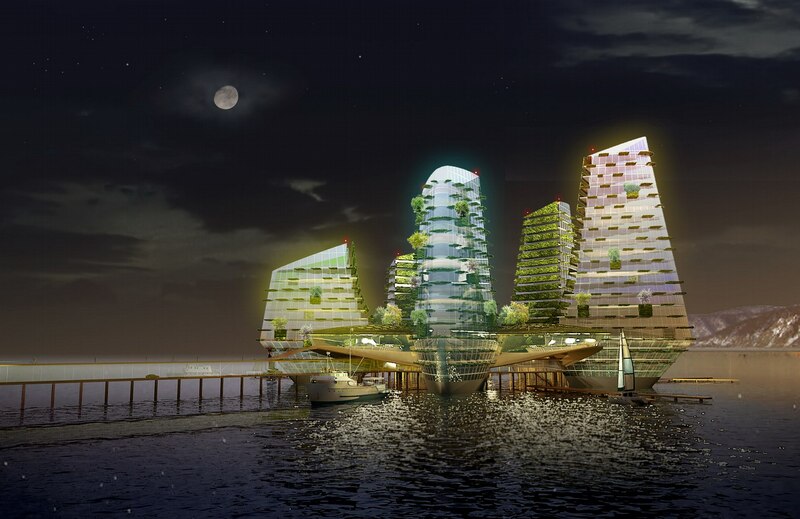 As the authors thought, all these conceptual projects would be able to become a complex solution for preparing Sochi to the Olympics-2014. Sea becomes the site for development, but not costly areas on the ground. They include many hotels and apartments, which have minimum two positive features: fine views from the rooms to the sea and city, plus the clear sea water since the complexes are quite far from the shore line. 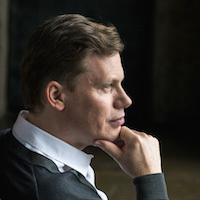 There is one more important feature – innovation in the projects. 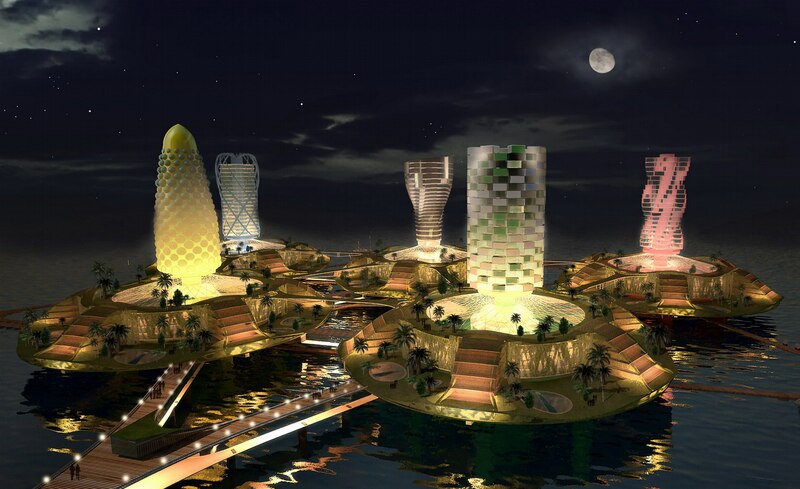 If they would be constructed, than Sochi would probably become a legendary city where fantastic projects of future become reality, just like Dubai.